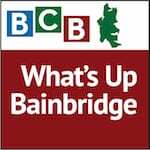 In this podcast episode, Jonathan Garfunkel of EduCulture talks with BCB host Ellen Miyasato about EduCulture’s upcoming August 2nd fundraising dinner. 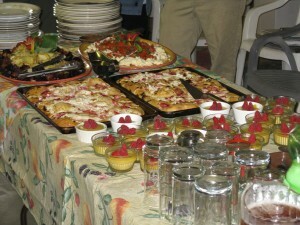 Farm fresh food will be served at the August 2nd farm-to-table dinner. The site is the beautiful Day Road farmland and winery. 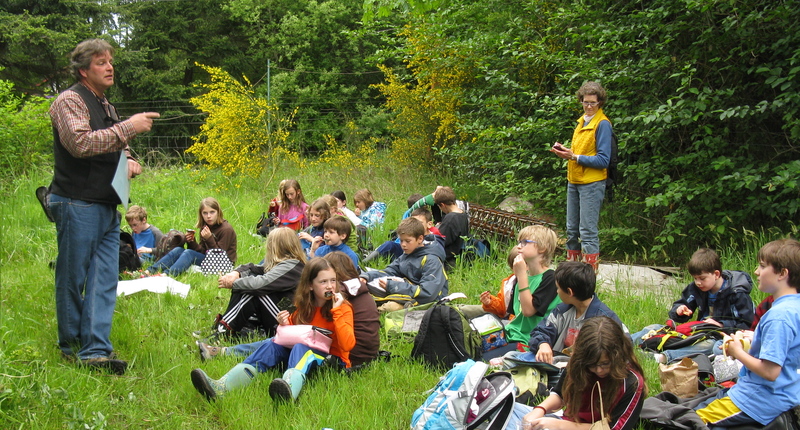 EduCulture brings together classrooms and farms to give children an edible education. Children apply their core curriculum skills — math, science, social studies and the humanities — to learn about the food sources of our bioregion and to develop an appreciation for local farms and food communities. 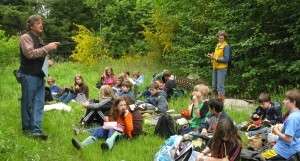 This learning process also fosters scholarship, stewardship, citizenship and sustainability. EduCulture also educates educators, and has a heritage component to teach about community exclusion and inclusion through the study of World War II, the Japanese-American internment, and its impact on Bainbridge Island. Jon Garfunkel (standing) is founder and director of EduCulture, and is among the teachers of EduCulture courses for children, teachers and others. Join EduCulture on Saturday, August 2nd, for an authentic farm to table experience, and have the pleasure of connecting place and taste. This meal is an opportunity for the community to come together around the wild and cultivated foods of our bioregion while also seeding and supporting EduCulture’s programming. Diners will be able tour the farm fields and vineyards of the Day Road area. They will sit down al fresco to a four-course meal prepared and presented by The Food Shed of Kingston, using produce grown on Bainbridge Island farms. EduCulture teaches an appreciation for local food and farming. 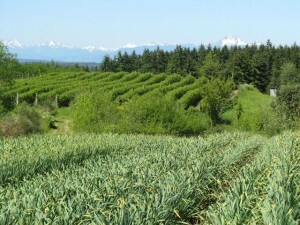 Bainbridge Island is blessed with rolling farmland with mountains on the horizon. Each course will be paired with a wine from Bainbridge Vineyards, the island’s only vineyard with locally-produced wine from locally-grown grapes. Farmer and winemaker Betsey Wittick will be at the table to discuss her farm and her wine. Seating is limited, but spaces are still available. For more information, go to the EduCulture website or call 206-780-5797. As stated on the EduCulture website: “Know where your food has come from through knowing those who produced it for you . . . Know where your food has come from by the very way it tastes: its freshness telling you how far it may have traveled . . . so that you can stand up for the land that has offered it to you.” –By Gary Nathan.